Iberia Blue are a certified applicator of Pebble Pro and Wetedge products in Europe. Pebble Pro specialize in distribution and application of Natural Pebble finishes for the interior of swimming pools. This beautiful non slip and durable finish is made from a blend of natural pebbles with cement and quartz applied by qualified specialist applicators. Pebble Pro finishes along with our projected concrete shells gives you complete flexibility of the design concept. Speciality Pool Interior Finishes in Natural Pebble, Krystalkrete and Beadcrete. Installation of Pump and Filtration Systems, Salt Water Chlorinators, UV and PH Dosing Units. Issued by InCI (Instituto da Construção e do Imobiliário), the governing body in Portugal. With over 10 years of experience in constructing projected concrete swimming pools in Portugal, we can offer you quality pool designs with strong concrete structures. We specialize in the application of natural pebble finish to the interior of your swimming pool. This beautiful non slip and durable is made from a blend of natural pebbles with cement and quartz. This finish along with projected concrete shells gives you complete flexibility of the design concept. 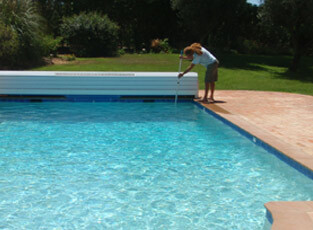 With our experience in Pool Construction we understand the need to take the safety and security of our pools seriously. We offer highly secure products all able to keep your pool safe and secure. Please click on the links below to view our range of swimming pool products and services. We can design a swimming pool that fits your exact specifications or if your pool looks tired, cracked or the tiles or stones are falling off, leaking? 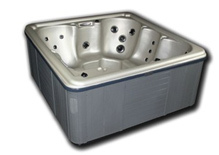 We offer a renovation service all types of pool. Our attention to detail is one of the things that sets us apart from other pool builders. Effective, Environmental and Economical solar panels to heat your swimming pool. Ideal way to heat your pool.